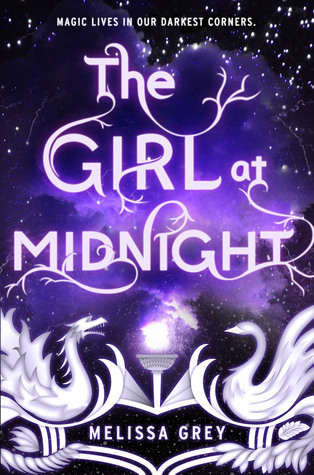 The Girl at Midnight has been compared to a lot of popular YA series including City of Bones and Shadow and Bone. This made me weary about starting it. The more a book is compared to something else the more I feel skeptical of it’s originality. Luckily, The Girl at Midnight was a fun and original read that kept me turning pages. The novel follows Echo who is living with the Avicen, an ancient race of people with feathers and magic. Their sworn enemies are a dragon-like race called the Drakharin. Rumor has it that an ancient being called the Firebird can put an end to the two species endless war. After a series of events Echo forms an unlikely alliance with a Drakharin and sets off in search of the firebird. I really liked Echo. At first I had a hard time relating to her but as the book progressed she went through an excellent transformation. The character growth in this book was really phenomenal and was actually my favorite thing about this novel. The swoons and feels were a close second favorite thing! Caius is the Drakharin that Echo forms an alliance with and they had one of those will-they-won’t-they are they even in to eachother kind of relationships. Those just so happen to be my favorite kind and I liked that this one kept me guessing! Overall, this novel surprised me. I didn’t expect to like it nearly as much as I did and immediately upon finishing I wanted to start the sequel. I have a feeling it’s going to be a long wait for The Shadow Hour. Great review. Glad to know about it. Great review! I have heard some great things about this book. I have been hesitate to pick it up because it is being compared to one of my favorite books (Daughter of Smoke and Bone) and I think my expectations might be too high. Glad to hear that you liked it!